A candlestick is now completely back again. Not only people who have a traditional interior in their home choose today to use such a candlestick, this also applies to young people who have purchased a much more modern house. A design candlestick does not necessarily have to be classic, on the contrary. In the range of design candlesticks here at Nordic New, there are many different candlesticks that all have their own unique appearance. 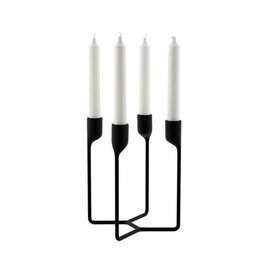 This ensures that a design candlestick can actually be ordered for everyone, who will be able to fulfill all expectations. 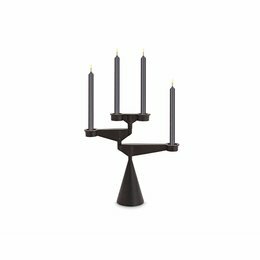 If you are looking for a design candlestick you will undoubtedly want to take a look in our assortment. During your search for the best design candlestick you will be able to determine that there are many different forms in our range. In this area, for example, we distinguish the small ones from the large design candlesticks. 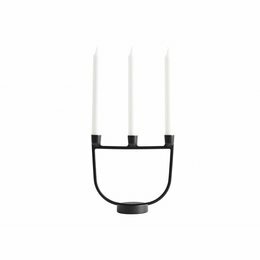 Where the Northern Lighting Granny, for example, is a small design candlestick that you can place anywhere, this does not apply to the much larger Normann Copenhagen Heima Candlestick, also the Tom Dixon Spin candlestick is an attention trigger. This does not alter the fact that the latter provides an extra special look in any contemporary interior. The often pronounced style of our various design candlesticks ensures that they will convince a lot of people. 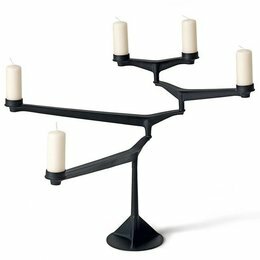 Using a design candlestick not only ensures that you have an extra, unique and very beautiful looking element in your interior, but also provides lighting that is much nicer compared to a normal lamp. Not only in a contemporary house, but also when you have a classic interior, such lighting comes out very well. Would you like to achieve a slightly warmer and more cozy atmosphere in your home? Then a design candlestick can undoubtedly help you! Would you also like to order a design candlestick to place in your living room or in another room in your house? Do you want to be sure that you choose a candlestick that not only looks beautiful, but can also be very well maintained and can provide really atmospheric lighting? 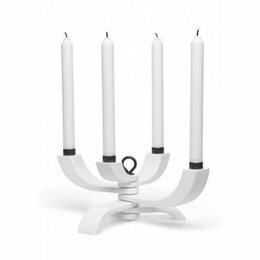 In that case choosing a design candlestick from the assortment here at Nordic New is without a doubt a must. 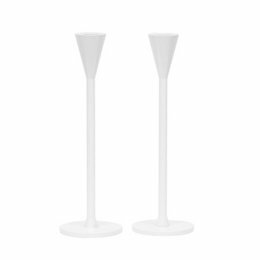 As a customer we offer you the opportunity to order a beautiful candlestick with an excellent design that will come out perfectly in your interior. All orders placed here at Nordic New are also delivered free of charge for € 50 in the Netherlands and Belgium, as a result of which shipping costs will not unnecessarily increase the price of your order.